Deluxe camping in remote places, fit for all seasons. 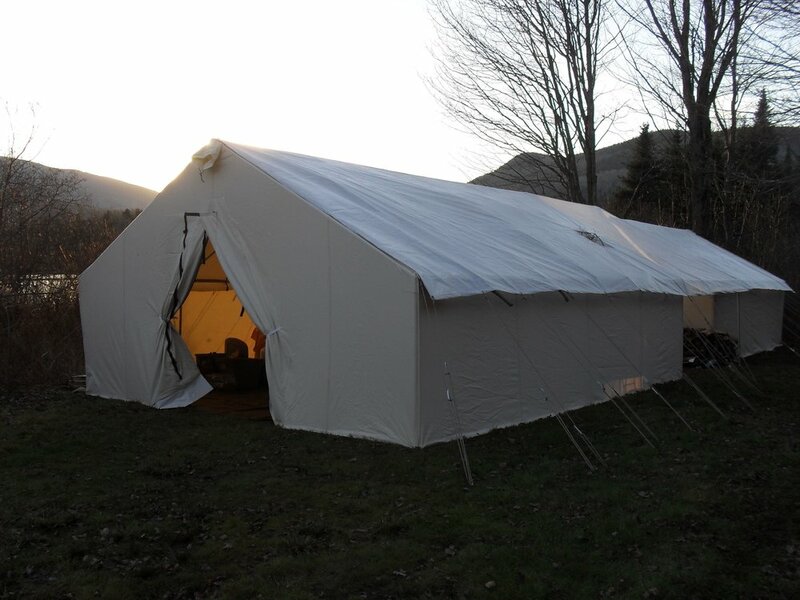 Our wall tents are equipped with a kitchen, extra large cots with mattresses and a wood stove in each tent. We can accommodate up to 10 people. 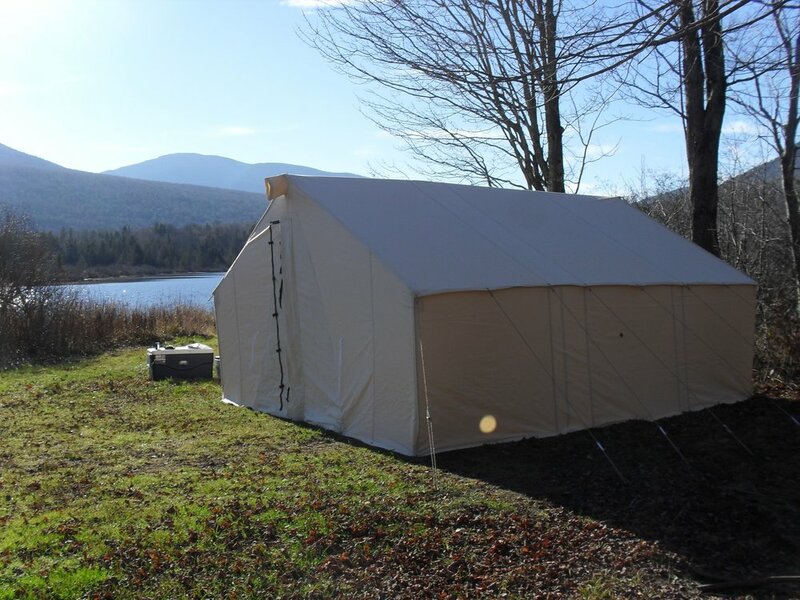 Our wall tent camps are perfect for convenient access to deep wilderness hunting grounds, lakeside camping in comfort, or for any group that wants a fun and affordable get-away. For the hunter who wants a little more wilderness in which to roam while hunting for a giant buck, we offer the remote wilderness deer hunt. This region is a mix of hardwood and coniferous forest, mountains, old apple orchards and swamps. Sleep in comfort just moments from hunting grounds.